Category: Earrings. Tags: anniversary, anniversary gifts, artisan, back to school, birthday gifts, buy online, earrings, fashion, fashion trends, gift for her, gift for Holidays, gifts, graduation gifts, handmade, holiday, jewellery for women, jewelry, made in canada, mixed metal, modern style, mothers day, new trends, products, prom jewelry, resort style, spring, summer, teacher's gifts, valentines day, wedding jewelry, what to wear. Extra long teardrop earrings in gold filled and sterling silver. 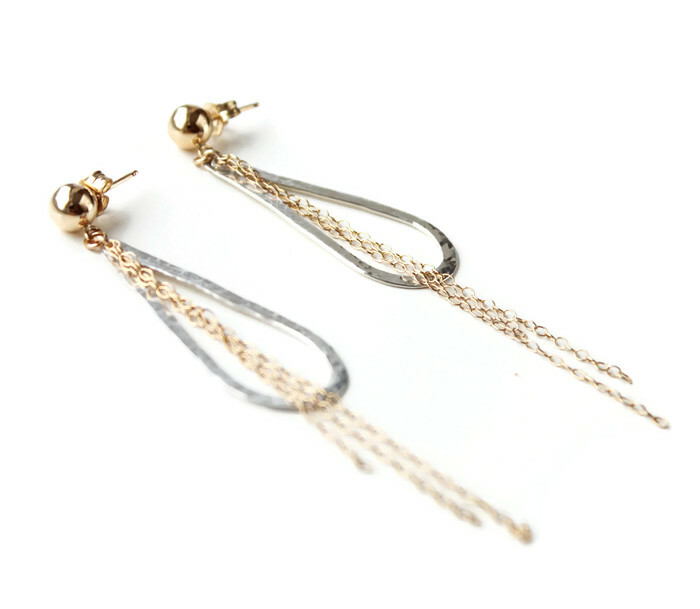 Ball post earrings, silver teardrop earrings with gold filled chains. 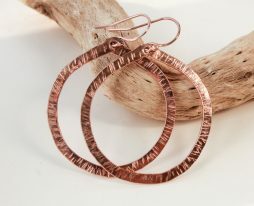 Mixed metal modern earrings. Prom jewelry. 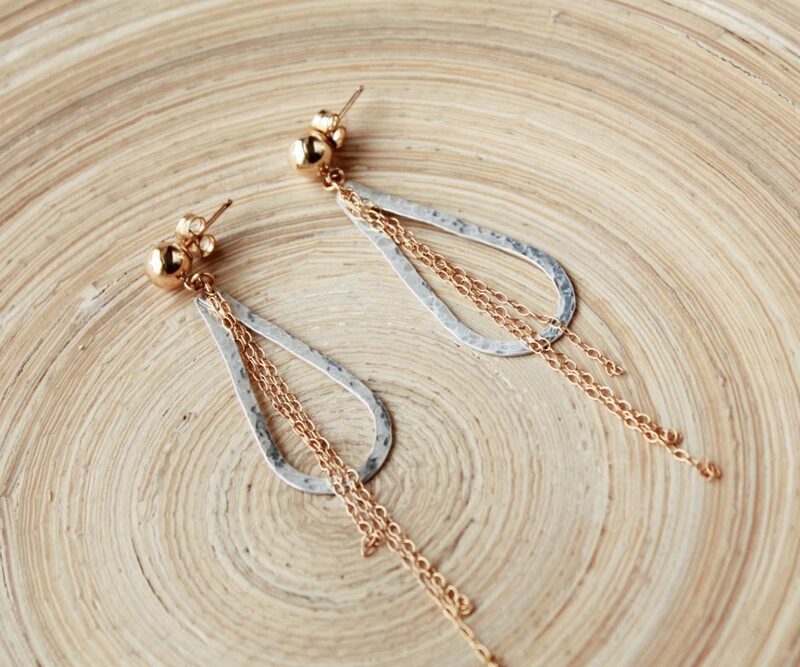 Super long earrings in gold and silver. 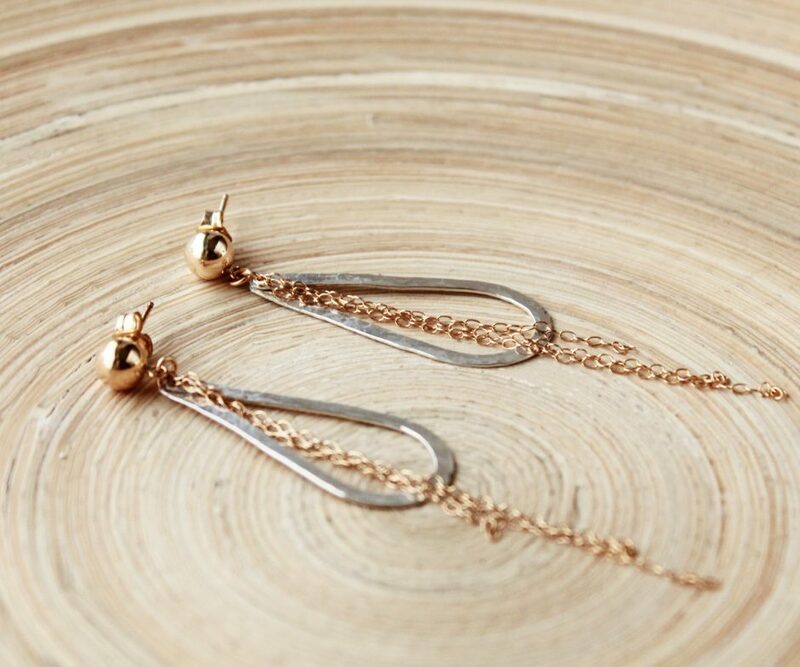 Gold filled ball post earrings with hand forged sterling silver teardrops and long gold filled chains. 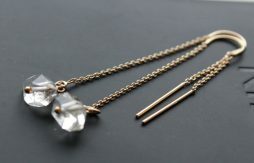 Total length of the earrings is 3″, and teardrops are 35 mm x 15 mm or 1 3/8″ x 5/8″. Great gift for her, trendy mixed metal style. Prom earrings, wedding jewelry, graduation gift. 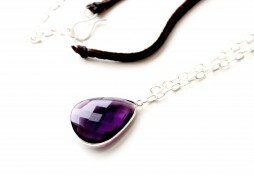 Suitable for any occasion, gold and silver go with everything. 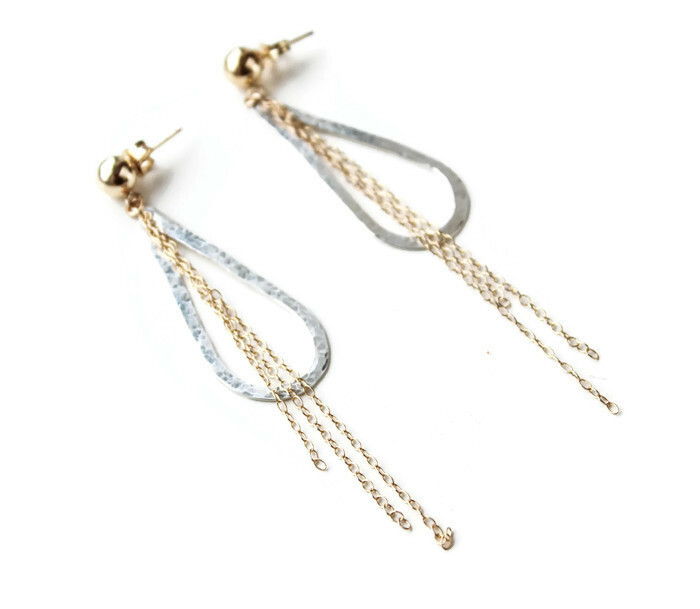 Add some extra shine to your everyday look with these soo trendy mixed metal earrings.